"I'm in," replied Waldman, whose firm has ties to Hillary Clinton. 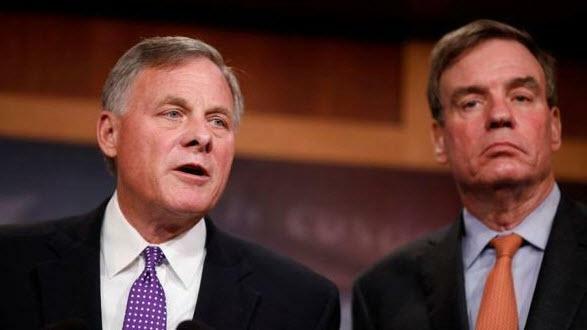 The text messages, obtained by a Republican source and marked "CONFIDENTIAL," are not classified, and were turned over to the Senate panel Warner sits on last September. An aide to Warner confirmed that the text messages were authentic. Waldman and Warner had apparently touched base about Steele in a March 22 phone call. "Hey just tried u again gotta give a speech but really want to finish our talk," Warner texted. Steele was apparently concerned over leaks, and was "spooked" (pun intended?) by the recent attention he had received over the 35-page dossier. Warner texted back on March 30: "We want to do this right private in London don't want to send letter yet cuz if we can't get agreement wud rather not have paper trail." Then on April 5, Warner texted Waldman: "Any word on Steele?" "Yes seems to have cold feet from the leaks. Said he wanted a bipartisan letter followed by written questions," texted Waldman, adding that the Wall Street Journal had contacted him asking if he was an intermediary between the panel and Steele. 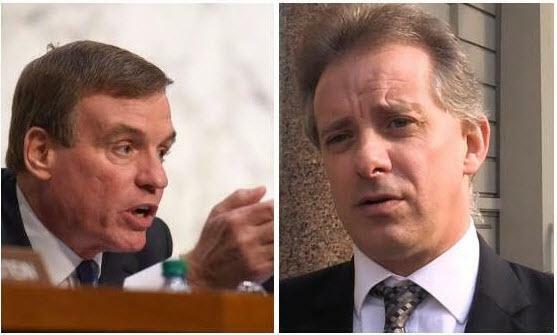 At one point, Warner also discussed possibly flying to London to meet with Steele, as he was insistent that he receive a "bipartisan letter" requesting his testimony before entering the United States. Waldman signed a $480,000 annual retainer in 2009 and 2010 to lobby the US government on behalf of controversial Russian billionaire Oleg V. Deripaska - whose visa was revoked by the State Department in 2006 over charges of organized crime. Short-lived Trump advisor and lobbyist, Paul Manafort, worked with Deripaska for several years before joining the Trump campaign, where he reportedly offered to brief the Russian oligarch oin the Trump campaign. In a joint statement to Fox News, Senators Richard Burr (R-NC) and Warner released a joint statement blasting the "leaks of incomplete information," and said that the committee has known about the texts for several months. Warner and Waldman initially opened a dialogue in February 2017 to discuss the possibility to broker a deal with the DOJ in order to slap criminal charges on WikiLeaks founder Julian Assange - a conversation which was discloised to the FBI according to an aide for Sen. Warner. In May 2017, the House and Senate Intelligence Committees decided against granting Deripraska legal immunity in exchange for testimony to the panels. According to Fox News, the text messagers between Warner and Walderman appeared to stop that month.